As memories of a cold, long winter begin to wane, many of us get antsy for that first RV excursion of the season. Holed up all winter, we’ve been making travel plans, waiting for the trees to blossom, the birds to chirp and the campgrounds to open. The majority of us readied our coaches last fall for storage; some fully winterized for colder temperatures. After each period of non-use, regardless if the RV was winterized for sub-freezing temperatures or simply stored in the driveway, every coach must be properly prepped for use prior to simply taking off down the highway. Many call this preparation process the “spring shakedown.” It involves a few detailed tasks, best addressed in a systematic manner, so nothing falls through the cracks. 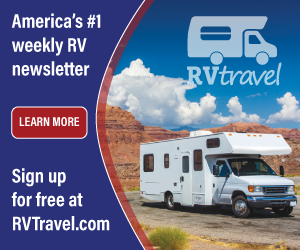 So block out a few days, gather a few maintenance supplies and get ready for another season of fun RV travel! The following procedures are presented in a priority order that best assures nothing will be forgotten. They are also presented in bulleted format for a quick reference each season. Always have a pad and pencil on hand to note any item that needs attention. During comprehensive procedures like the spring shakedown, don’t rely solely on your memory. · A clean RV will better reveal discrepancies than a dirty one so begin by washing the coach. Wax and polish the exterior if necessary and open all the windows to air the coach out. · Check the weather-stripping and the weep holes on all windows, ensuring they are not clogged. Lube the slider tracks on any window or screen that opens. · Closely inspect all roof components, seams, and edges. Now is the time to seal any areas that need attention. · Check the roof air conditioner(s) for damage. 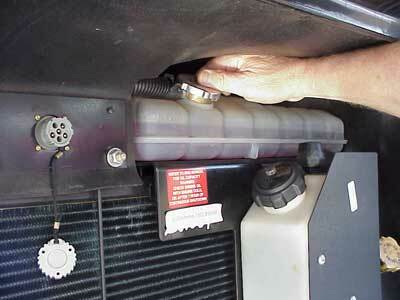 Clean or replace the return air filters. · Inspect and operate all bay doors, entry door, etc. Lube all mechanical latches and keyed locks with a dry lube. · Check the sealants around each window and all components attached to the exterior sides of the RV. Reseal if necessary. · Lubricate the moving parts of all awnings. Remove any mold or mildew on the canopies. · Look for anything out of the ordinary underneath the RV. · Lubricate all slideout mechanisms using a dry lubricant. · Check the electrolyte level in all flooded, 12-volt batteries and fully charge each battery system. 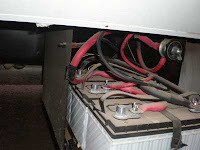 Always provide batteries the advantage of having a complete charge at the start of any camping season. · Verify that all electrical connections are clean, dry and tight. Confirm all 12-volt DC devices are ready by operating each one. Turn on all lamps and fans, etc. · Cycle each slideout through a full extension and retraction a couple of times while listening and watching for binding or abnormal noises. Leave all rooms in the extended position. · Clean and brighten the blades on the shoreline cord. Note: always measure the source voltage and check the polarity of incoming AC power before plugging in. The voltage must stay steady between 103 and 125-volts AC. 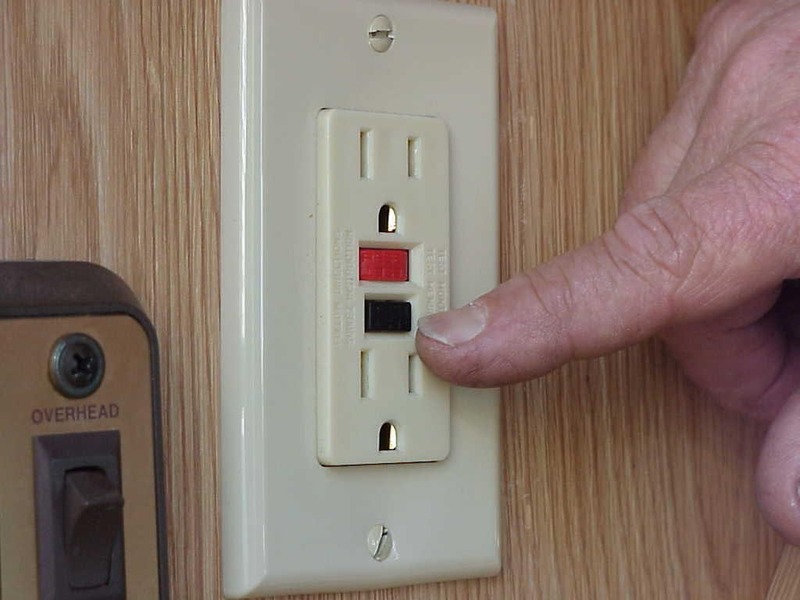 · Plug the coach in and turn on all circuit breakers at the panelboard inside the RV. · Plug in any ancillary AC device that was unplugged during the winterizing process. Note: to guard against rogue lightning damage or voltage spikes during downtimes, it is advised to unplug any AC device that isn’t hardwired such as the refrigerator, microwave, televisions, entertainment centers, etc. · Operate 120-volt AC appliances through their respective cycles. Note: be sure the absorption refrigerator is properly leveled prior to operating it on electric. 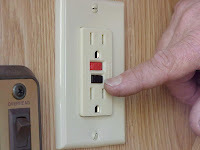 · Test and reset the GFCI, (ground fault circuit interrupter). 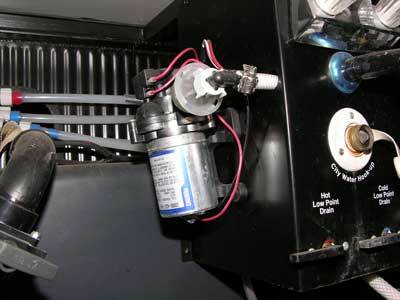 · After the filters have been cleaned or replaced, run each air conditioner, checking for unusual noises or vibrations. · If employed last fall, drain the RV anti-freeze from the fresh water system. · Fill the fresh water tank about half full. · Remove the water heater from by-pass. If the water heater is a Suburban model, remove and inspect the anode rod. Replace it if it is 75% depleted. · Turn the water pump on and begin flushing out all water lines. Open each faucet to eliminate any residual RV anti-freeze. Don’t forget the exterior showerhead, the icemaker or the clothes washer, if so equipped. · At the water heater, open the pressure and temperature relief valve. Once water begins gushing from the P&T valve, close the lever. · Once water is flowing smoothly from each faucet, shut them all off. · Flush the toilet a couple of times to fill its internal tubing. · Turn off the water pump, then open the water heater P&T relief valve once more and leave it open until water stops dripping from the outlet, then close it. This establishes the necessary expansion space on top of the water inside the heater tank. · Attach the fresh water hose to the city connection and verify all fresh water components still operate properly. 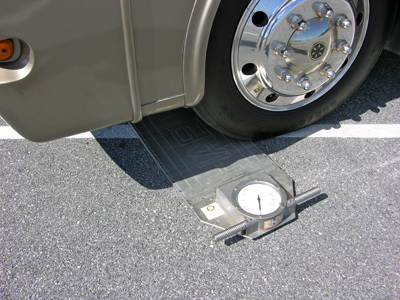 Inspect for water dripping or seeping anywhere, inside and outside the RV. · Finally, chlorinate the entire fresh water system. · Flush and drain each holding tank completely. · Disassemble and lubricate all termination valves. Ensure each one operates smoothly and fully closes. Note: use Dow 111 grease for lubrication. · Treat each holding tank for odor control if necessary. Use a non-formaldehyde additive. · Inspect the sewer hose for pinholes or damaged seals. · Contact a Certified or Master Certified RV service tech and schedule a timed pressure drop test and pressure regulator test on the propane system. 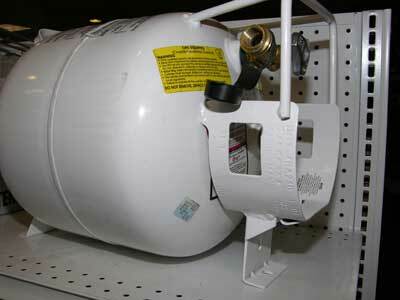 Ensure the system is 100% leak-free prior to continuing prepping the propane system. · Activate and test the propane leak detector. Also check the CO monitor, smoke alarms and fire extinguishers for proper readiness. 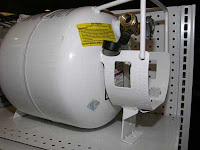 · Open the service valve fully at the propane container(s). · Vacuum in and around all furnace ducts. · Operate each appliance through their sequences of operation. Note: be sure the refrigerator is appropriately leveled prior to testing its operation on gas and that the water heater is full of water before initiating the propane sequence on it. · Check the oil level. 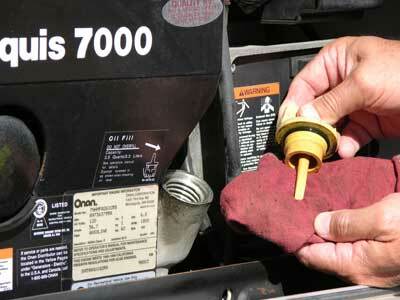 Change the oil and filter if necessary. · Check and replace the air filter element and any fuel filters in the system, if so equipped. 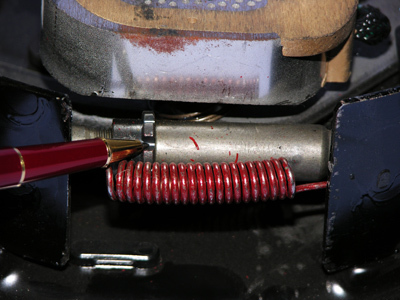 · Check the condition of the rubber fuel line to the generator. If small cracks are evident or the hoses lack suppleness, replace them. · Start the generator and allow it to stabilize. Once it is running smoothly, allow the generator to power the coach. · With on generator power, again cycle the air conditioner(s) and allow the generator to carry this load for at least thirty minutes. · Closely inspect all tires. Remove rocks or pebbles lodged in the tread. Note: it will be necessary to roll the rig forward or backward to fully inspect all the way around each tire. · Examine all sidewalls. Never drive on tires showing any evidence of sidewall weather-checking. · Examine the DOT date code. Tires approaching 5 to 7 years of age may need replacing. Have a tire expert break down and inspect the inside of older tires. Note: the last four digits of the DOT code indicate the week and year of manufacture. Example: 4010 indicates that tire was manufactured during the 40th week of 2010. · Clean and treat all tires with a non-petroleum based treatment. · Be sure all tires are pressurized to the correct inflation as determined by the weight each tire is supporting. Note: this can only be determined by weighing each tire position using certified scales. · Torque all lug nuts to the specified requirement. · For diesel coaches, refer to the owner’s manual for the manufacturer’s recommendations for that chassis. · Check the odometer; it may be time for a tune-up or brake inspection. · Verify the integrity of engine drive belts and coolant hoses. · Test all running lamps, turn signals, headlamps, etc., as well as antennas, entry steps and all accessories not mentioned specifically here. 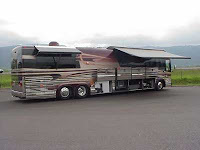 · Take the motorhome on a short road test. Be aware of strange noises, vibrations and abnormalities with steering and handling. · Every two years, clean and pack the wheel bearings and replace the seals. · Adjust all electric brakes if necessary. · Inspect all spring shackles, u-bolts and hitch components. · Test the breakaway switch for proper operation. · Test all running lamps, turn signals, stop lamps, etc., as well as antennas, entry steps and all accessories. · Road test for proper brake modulation and handling. Take note of strange noises, vibrations and abnormalities with steering and handling while towing. Review the owner’s manual to verify nothing was left out of the spring shakedown procedures. Only when thoroughly satisfied nothing is amiss, load that refer, pack that gear and get that rig on the road! And remember, RVing is more than a hobby, it’s a lifestyle!